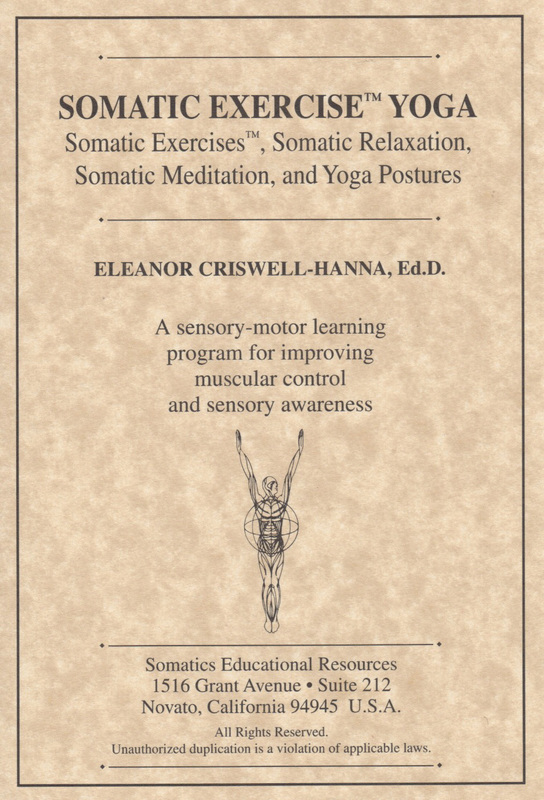 Somatics Catalog - Product Report: "#250"
Somatic Exercise Yoga Somatic Exercises[tm] , Somatic Relaxation, Somatic Meditation and selected Yoga postures. Eases general pain and stiffness while increasing flexibility and personal well-being. For experienced Yoga practitioners as well as beginners. Use with Somatic Yoga video. Three CDs.